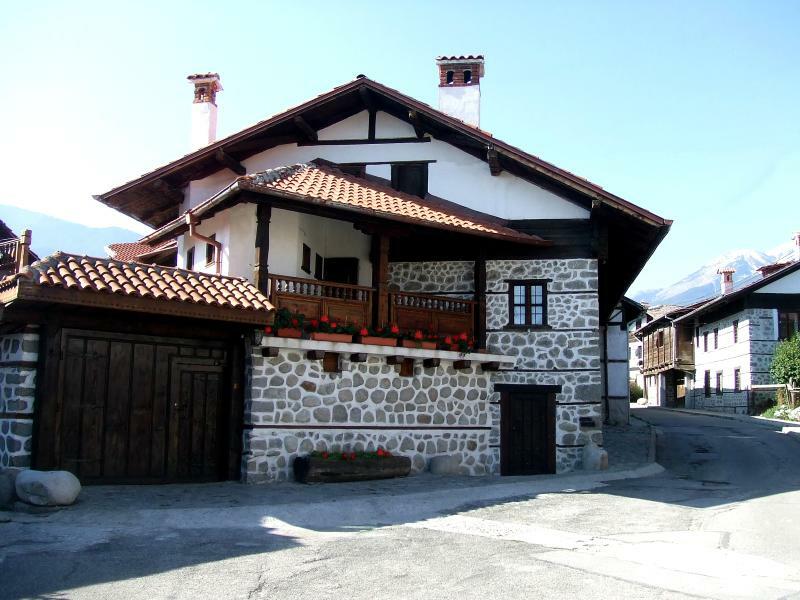 Chalet Elena is a beautiful renovated 19th Century listed town house. Both the interior and exterior have been restored by very talented local craftsmen and as such the chalet is full of fantastic character and original features. 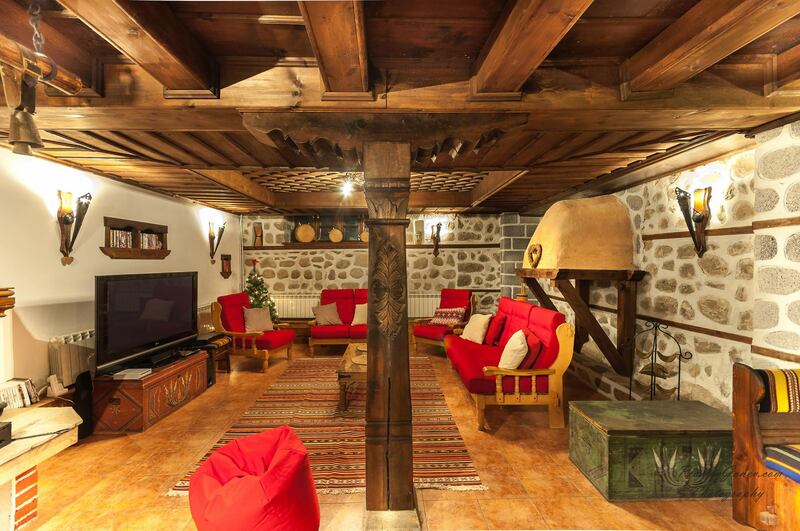 It has 5 en-suite bedrooms and is 5 minutes walk from the town centre of Bansko. 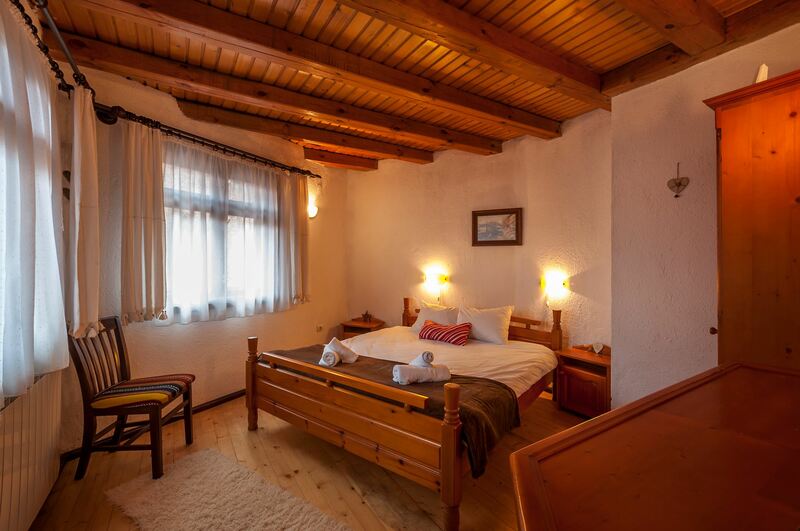 The chalet offers views across the pistes of the Pirin mountain range and has a 4 person outdoor hottub in the courtyard garden. 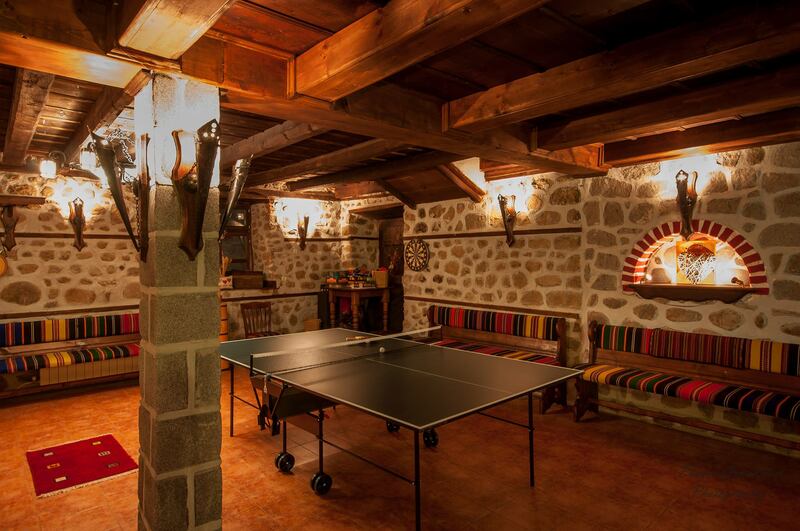 Sleeping up to 12 friends or family the chalet has a large open log fire and a games room with a full size table tennis table and dart board. 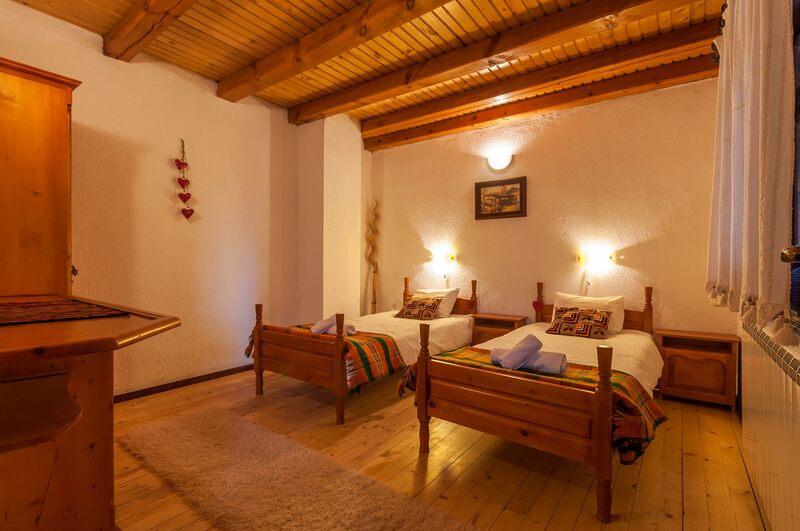 There are two double rooms, one twin, one triple and the final room has a double with two singles. 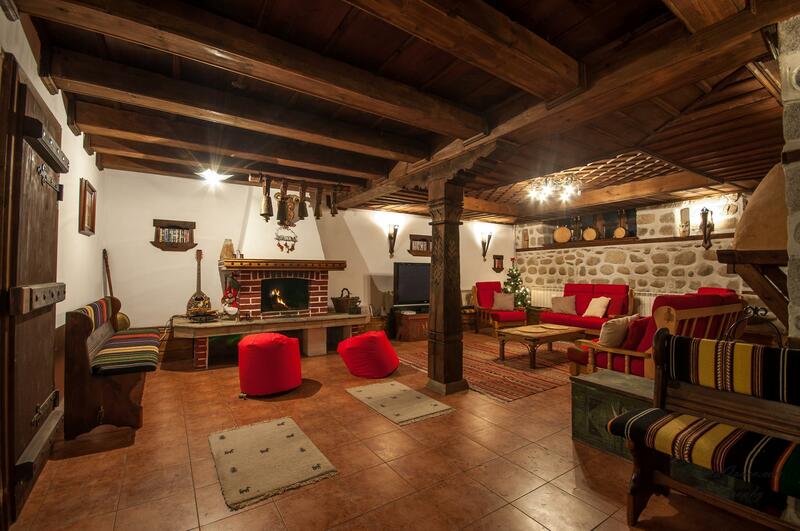 The chalet is set in its own enclosed courtyard, so the kids (or adults!) can have fun in the snow. Guests can relax in front of the open log fire on large comfortable sofas and beanbags in the sitting room, before retiring to the dining area to enjoy our fantastic cuisine. 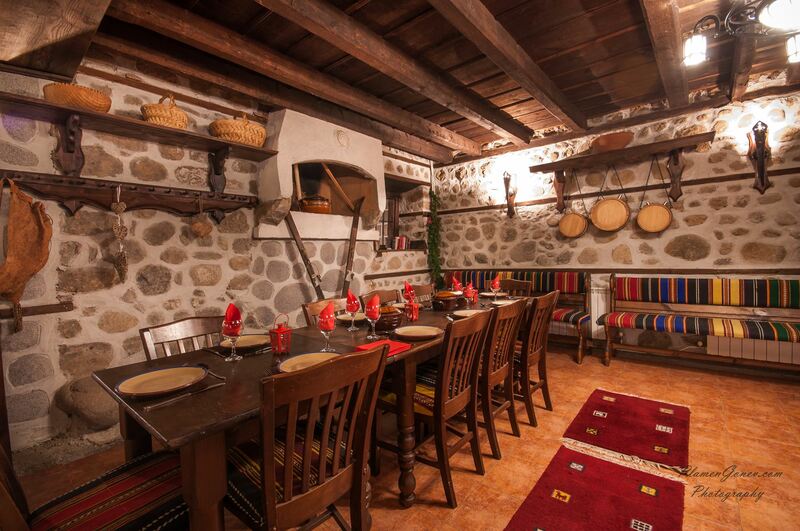 A two course evening meal, complemented by unlimited fine Bulgarian wines and beer, is prepared by an experienced chef and left ready for you to pop into the oven and serve.